Director Roland Emmerich is well known for his love of explosions and his continual attempts to end the world on the big screen. 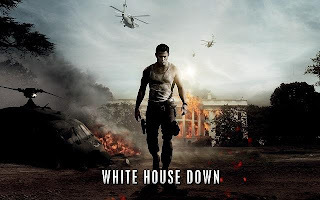 His latest project 'White House Down' largely continues the trend, and follows 'Olympus Has Fallen' as the second film in recent times to plot a besieging of the White House. Jamie Foxx stars as the US President, with Channing Tatum on hand to try to save him and ultimately, the nation. Foxx's James Sawyer is an idealistic president, who seeks to pull out of the Middle East and puts forward a unifying peace treaty for the region. Tatum's ex-soldier John Cale also has his own lofty ideals - he wishes to leave his current job as an officer charged with the protection of the Speaker of the House (Richard Jenkins) to join the President's protection detail. His efforts are dashed however as his interview at the White House is conducted by an old college acquaintance, Carol Finnerty (Maggie Gyllenhaal) who considers him unsuitable. Not wanting to disappoint his daughter Emily (Joey King), Cale pretends he has a good chance of getting the position. The two join a tour of the White House, which is rudely interrupted when a bomb is detonated within the building and it is taken over by a paramilitary group - setting in motion a series of events that sees Emily separated from the rest of the group, and the President ending up by Cale's side. It is left upto Cale to rescue not only his daughter but also restore the President to command against the usual unbelievable odds. The result is fairly predictable although there are unexpected turns, including surely the most ridiculous tour guide to ever grace the big screen. Much of the credit should go to James Vanderbilt's oft tongue-in-cheek script, although there's an all too knowing reference about blowing up the White House in Emmerich's 'Independence Day'. The direction brings an appropriate tension to the early proceedings but it is chemistry between Foxx and Tatum that allows 'White House Down' to become an enjoyable ride. 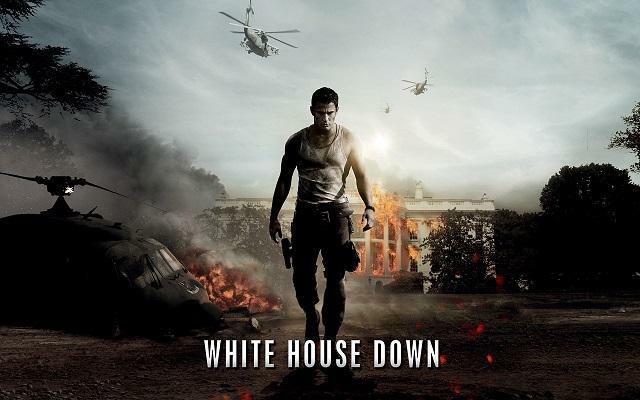 'White House Down' is out today in UK cinemas, through Sony Pictures.